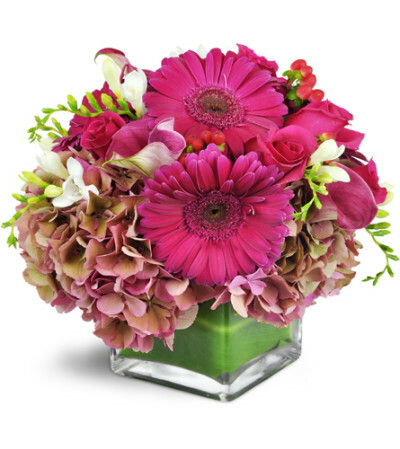 She'll be singing your praises when this stunning, modern gift is delivered to her door! It's a high-style gift for your high-style special someone. Gerbera daisies, roses, calla lilies, and more, all in glorious shades of mauve and pink, are a perfect gesture for a birthday or anniversary! So easy and seamless! Ordered at 2pm and they were delivered that day - for free! Highly recommended! The plant we ordered was beautiful. Very professional and helpful when I called to order. Great florist to work with. It was very much appreciated! Wow! 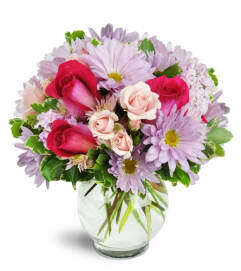 A Country Florist, deserves more than 5 stars! You kindly answered our questions on the phone about ordering on line. Within one hour, we had placed our order and had received your email informing us that you had successfully delivered our order. In a timely and efficient way, you enabled us to encourage loved ones who live 200+ miles away from us. Thank you! 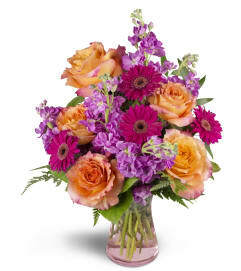 A Country Florist is a Lovingly Florist in Sheldon. Buying local matters. Discover how Lovingly supports local florists. Copyrighted images herein are used with permission by A Country Florist.